As he rises from the ashes, your Scorpio man will have let go of his anger. However, there’s nothing you can do to initiate this process. Pluto works by his own mysterious schedule. You cannot win back a Scorpio, but if you’re patient he might forgive you. Dating a Scorpio can be thrilling; however, trying to reunite with a Scorpio ex can be quite the opposite. 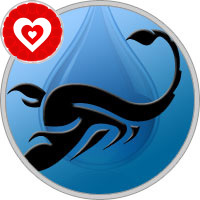 If you were dating someone born between October 23 and November 21, you were with the most passionate water sign of the zodiac. While you do not have to deal with the fiery temper of a fire sign, Scorpions are known for their two-strike rule. After your second letdown, you are history in a Scorpion’s book. Many people may find them cold or harsh, but they are neither. In reality, they are simply scared of being hurt a third time. If you care for your Scorpio, you have to show your ex that you are a changed person who is worthy of love. Scorpions are also the sexiest sign of the zodiac. They love passionately, and that is often their downfall. If you want to get back with your Scorpio ex, you should remind your ex of all of the great times that you have shared in and out of the bedroom. Passion begins in the mind before it gets to the body. Treat your ex nicely and delicately because this sign is also known for being quite sensitive. Insist on meeting face to face instead of speaking on the phone. When you meet up, be sure to give warm hugs and careful kisses on the cheek, forehead or on the corner of your ex’s lips. Without being naked, show your ex that the passion is still alive. Don’t invite your ex to hang out with you. Instead, fill your ex’s mind with all of the fun things that you are doing without your ex. Of course, your ex will feel left out and jealous that you are having so much fun. If your ex mentions having doubts about calling off the relationship, you should listen and say that neither of you should be willing to jump back into the relationship before you know what is best for the both of you. If you’ve done something to betray your Scorpion’s trust, then it is time for an apology. Give a sincere apology that breaks down exactly how and where you went wrong in the relationship. Generic apologies will not help your case, so make sure that you are detailed and sincere. Also, Scorpions take a while to truly forgive. Be patient with your ex by not expecting to resume the relationship right after your apology. Give your ex time. Getting back with a Scorpio ex is tricky, but it is possible if you have the right attitude. By emphasizing your sensual nature, while exhibiting patience and understanding, it will only be a matter of time before your ex realizes that you are a good catch.